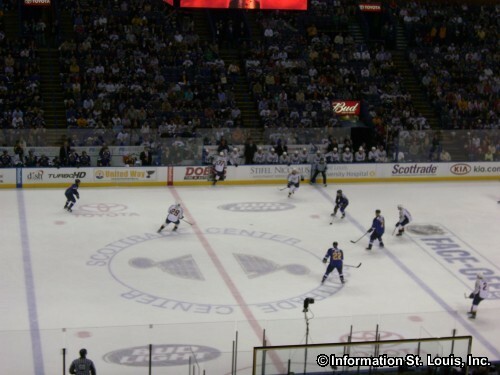 The St. Louis Blues Hockey team takes on the Nashville Predators at the Enterprise Center. See website for ticket information. The St. Louis Blues Hockey team is St. Louis' National Hockey League team and plays at the Enterprise Center in St. Louis, Missouri. The regular season runs from October through April. Preseason play begins in September with playoff games going into June. Directions: Home ice is located at the Enterprise Center in Downtown St. Louis on Clark Avenue, between 14th and 16th Streets, directly behind the Peabody Opera House.